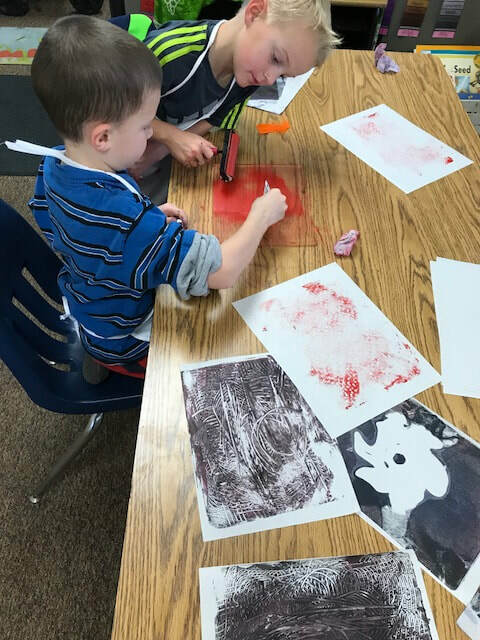 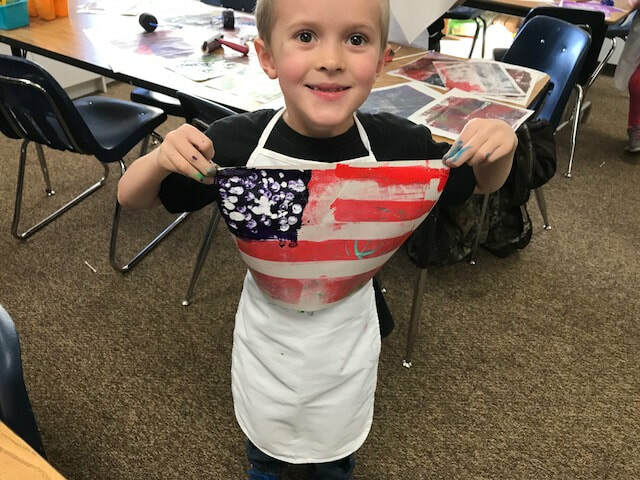 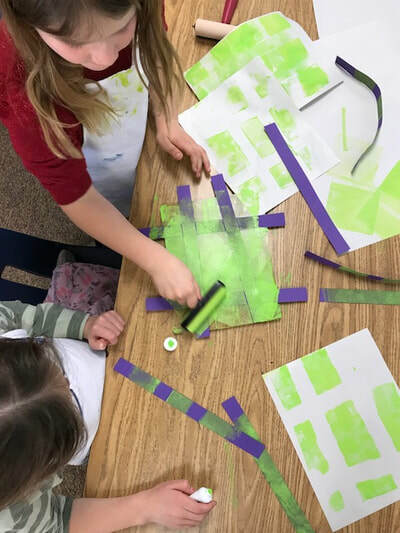 Gel printing was a project of the STEM Maker Project of the Month a program, intended to provide a variety of making opportunities for our students in grades 1-5. 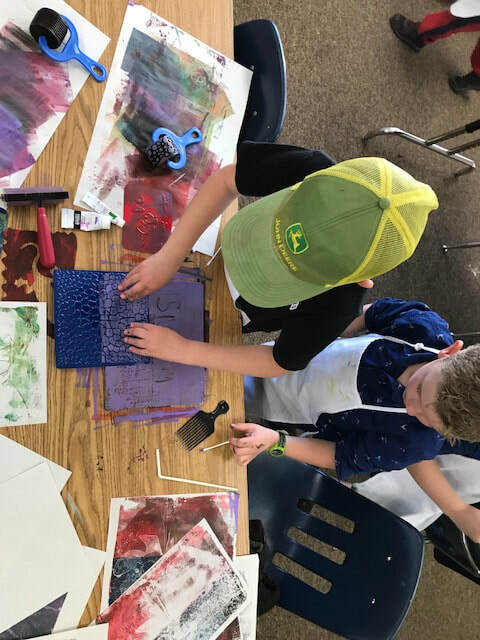 Gel printing is a mono-print technique that creates a negative and positive unique print using a gelli pad, brayer, a variety of materials to print including: foliage, lace, torn paper, stencils, and a variety of objects that removed paint from the gelli pad, and lots of acrylic paint. We also looked at artists, like Eric Carle, who used their mono-prints in their collages.